An SUV is a good choice for almost any lifestyle from soccer mom to outdoor adventurer. They usually have good cargo space and are generally pretty reliable cars. It can seem like no matter which one you pick you’re going to get a car that’s sufficient for your needs. Why settle for sufficient though? If you look at the details you’ll be able to find a car that’s not just sufficient, but one that fits your exact needs. No two cars are made alike and those small details can make a big difference when it comes to getting a satisfying car. We’ll take a look at two SUVs, the 2018 Mazda CX-9 and the 2019 Ford Explorer, run through their details so you can see just what you’re looking for. 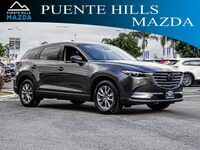 If we went through all the different features that are available on the 2019 Mazda CX-9 it would take a long time. 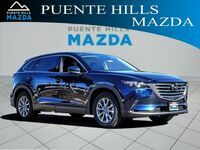 With everything out there it’s not a matter of if the CX-9 is right for you, it’s about when you find the perfect match. 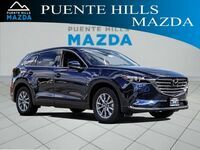 Stop on by our dealership in Irvine, CA and see the 2019 Mazda CX-9 up close and personal. You can even schedule a test drive to see how fun it is to drive.